The final movement in ‘The Dreamhunter Duet’, this remarkable book establishes Elizabeth Knox as an extraordinary talent as it sees teenage protagonist, Laura, battle as much with her own identity as against nemesis, Cas Doran, who aspires for totalitarian rule. Set in The Place, a region where dreams are fed into the consciousness of the many as entertainment, the book opens cataclysmically with gaping rifts tearing across the fabric of society following The Rainbow Opera riot. This makes for a compelling and brilliantly realised world. 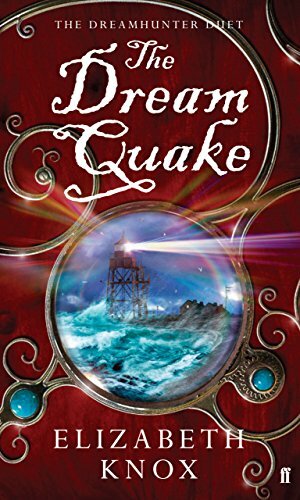 Rich, intelligent and capably written, The Dream Quake is a thoroughly accomplished work, reminiscent of Orwell’s lightness of touch and highly politicised satires.